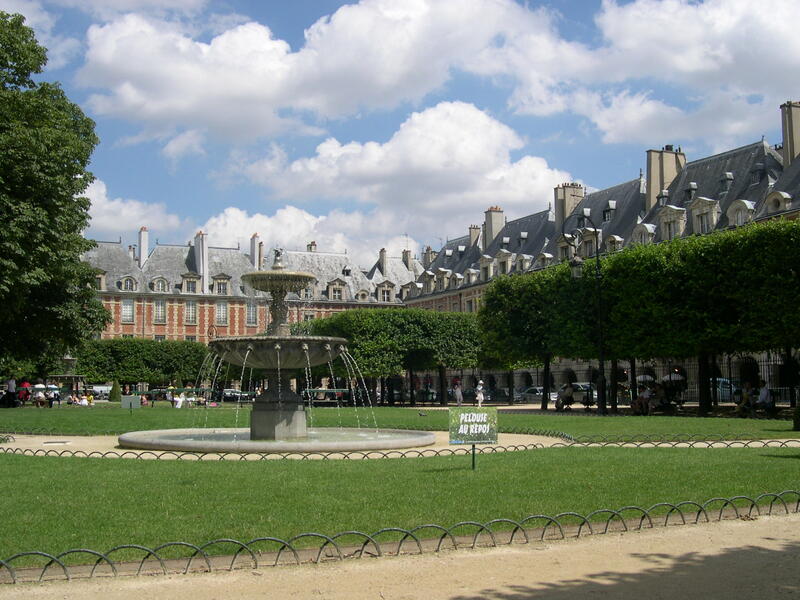 The oldest planned square in Paris, Place des Vosges is a quiet spot surrounded by cafes and shops. Listen to the trickle of water from one of the four fountains while sitting at a bench. 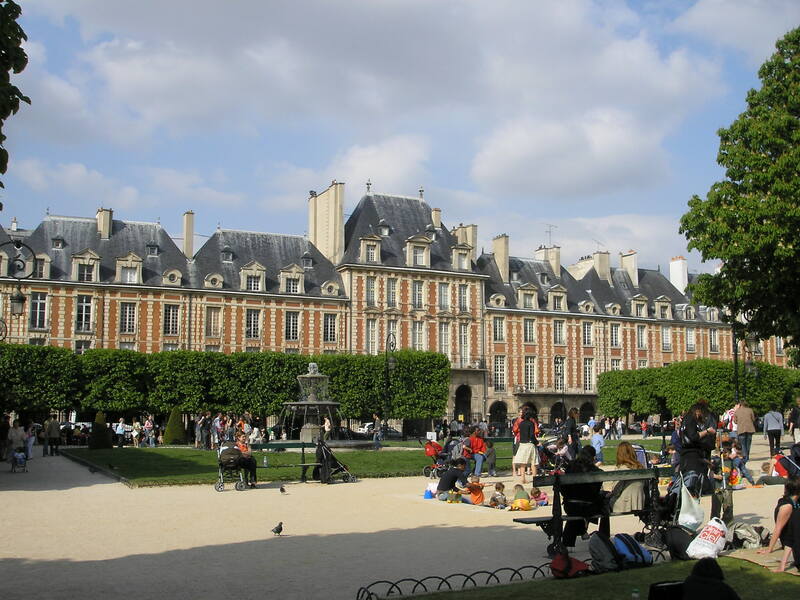 Henri IV built this perfect square 140 sq m (460 sq ft) from 1605 to 1612 to use as a royal pavilion for duels. Green lawns radiate out from its center. Expertly manicured lindens surround a formal plantation of mature linden trees called a bosquet, which provide a shady oasis. 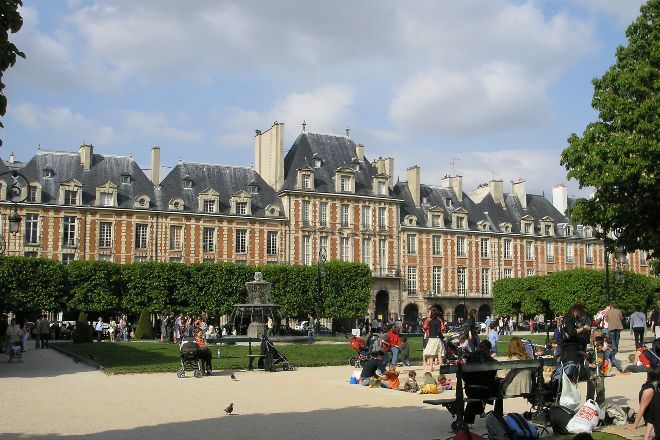 Arrange to visit Place des Vosges and other attractions in Paris using our Paris trip planner . One of my favorite places in Paris. Very picturesque and feels still a bit local and not so touristy. 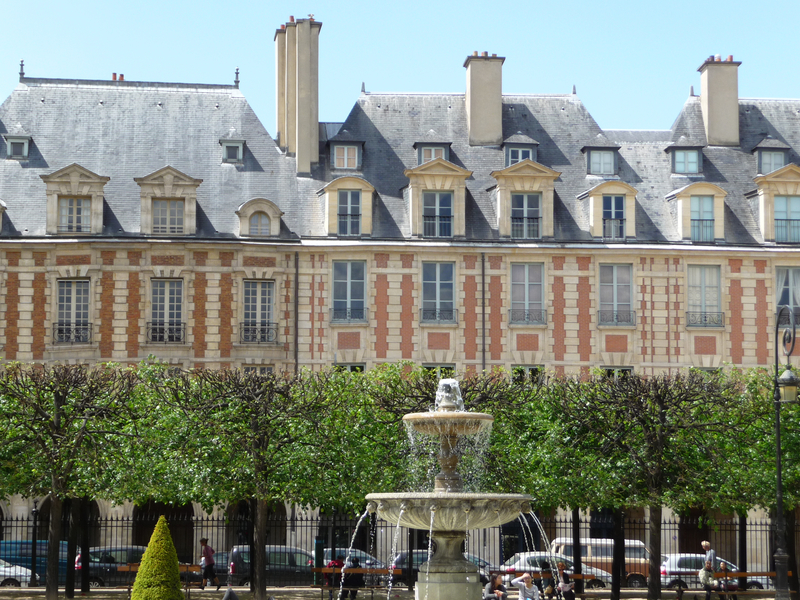 Get some coffee or snack and sit down in the sun and observe Parisian everyday life!